‘blinc’, is a two day, site-specific festival of light and sound based artworks that runs on 22nd and 23rd October 2011. 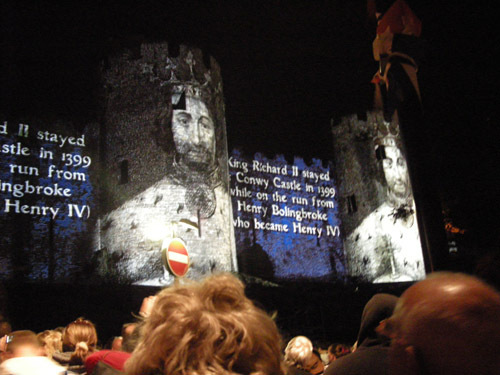 The central work of the festival explores the role that history plays in our modern environment. Each artist’s response to the place is very different, relying totally on his or her emotional reaction to the selection statement. “This is not a castle”. 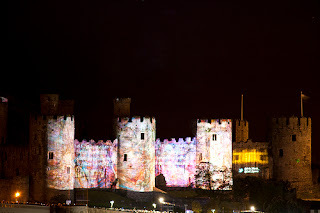 The initial symbiosis between the 13th Century castle and the dynamic 21st Century digital art form has created a perfect springboard to create debate and produce some very interesting pieces. Myth, investigation, both personal and chronological history, as well as humour all plays an important role. 15.000 people came to watch ! Cecilia.. We loved your piece, we've not stopped talking about it all week. the reaction from the crowd was wonderful. fantastic! Thank you very much.!! My pleasure. I am happy for you that it was such a succes. I am still looking for some good footage of my piece. Have you seen any? We are trying to get the film maker who was employed to film the whole event to deliver the film. As soon as we get something we will of course pass it on..